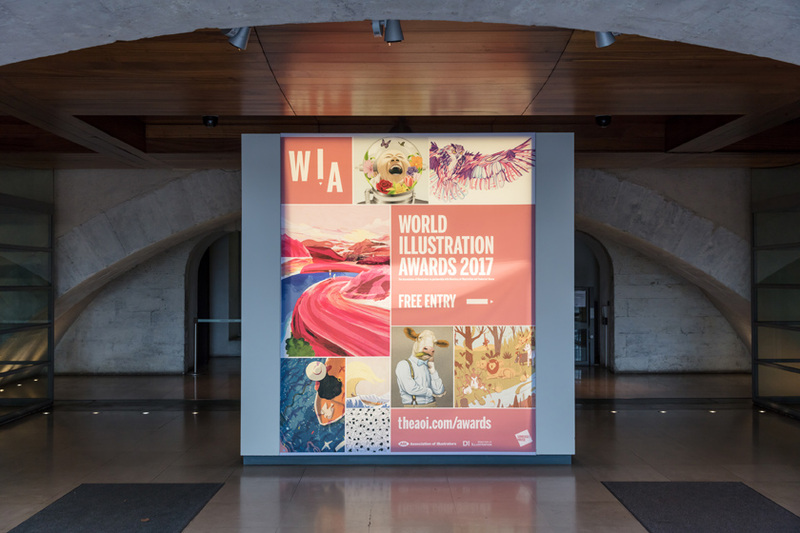 Welcome to the World Illustration Awards, presented by the Association of Illustrators alongside the US-based Directory of Illustration. Several of our illustrators were showcased in the exhibition, including Category Winner for Advertising, Claudine O’Sullivan! Her complex digital illustrations for the Apple Pencil Campaign were highly commended by the judges for their superb technique. Many Folio artists were also Shortlisted, including Alexander Wells (Books Professional), Sam Kalda (Editorial Professional), Muti (Design Professional and Editorial Professional), Kiki Ljung (Site Specific Professional), Maïté Franchi (Site Specific Professional), Owen Davey (Children’s Book Professional), William Grill (Children’s Book Professional) and Peter Greenwood (Advertising Professional). Many thanks to the AOI and Dan Weill for these photos of the exhibition.